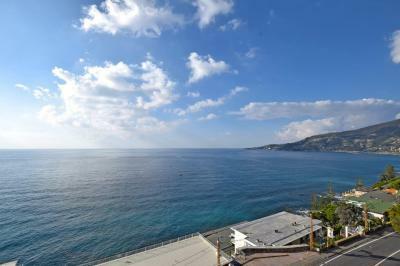 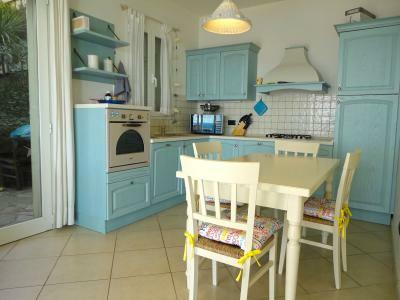 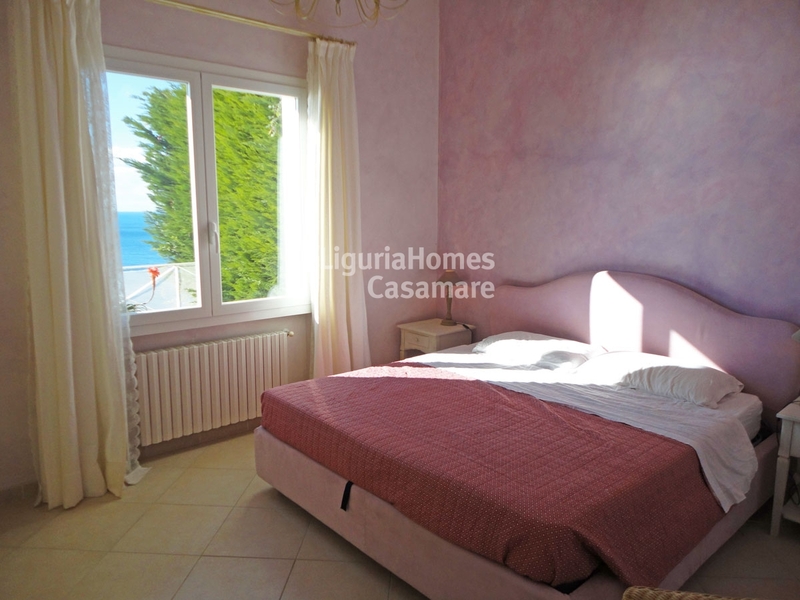 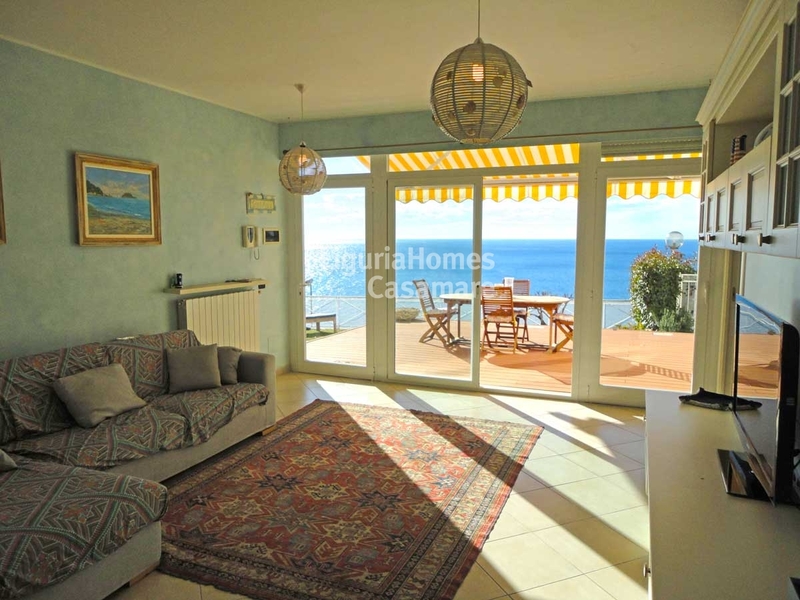 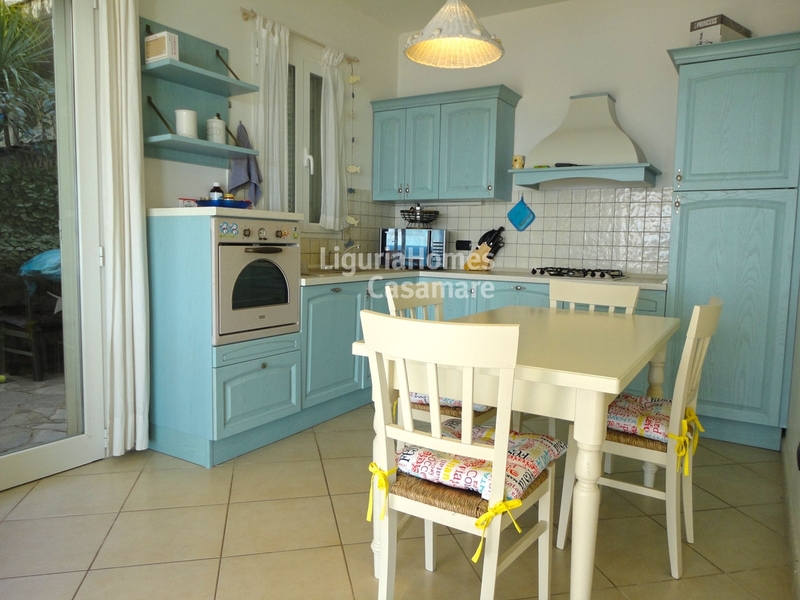 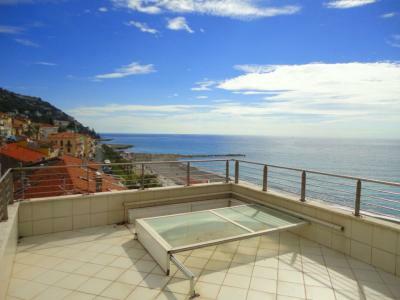 Ospedaletti: villa flat for Sale with sea view and terrace. 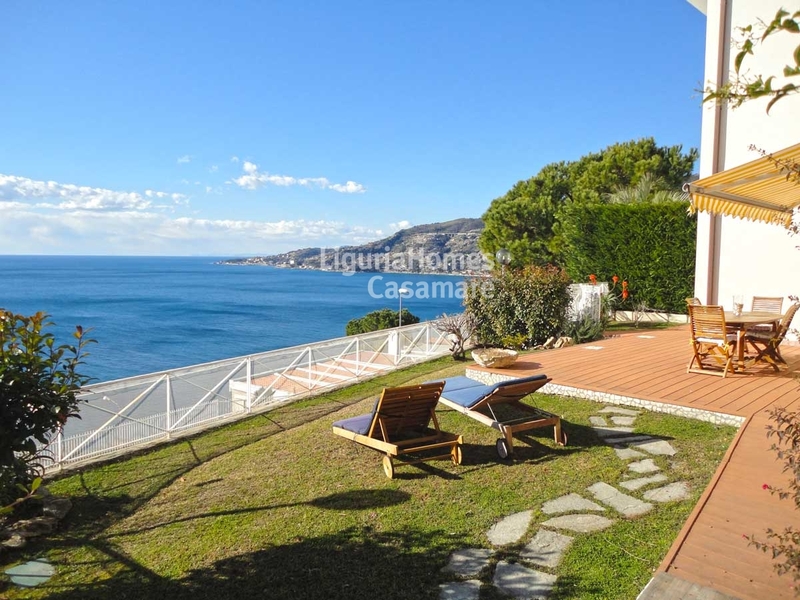 In one of the most popular street of Ospedaletti, luxury villa flat for Sale, with lovely terrace and garden with panoramic sea view. 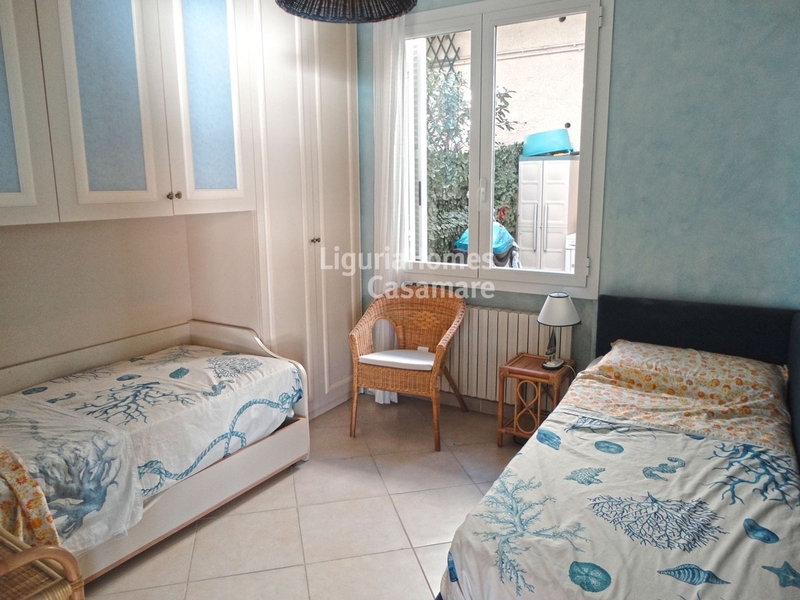 This villa flat for Sale in Ospedaletti consists of: entrance, large and luminous living room with kitchenette, two double bedrooms, two bathrooms and a terraced garden of 100 sq.m. 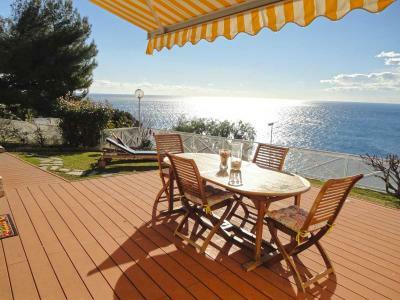 with wonderful sea view. 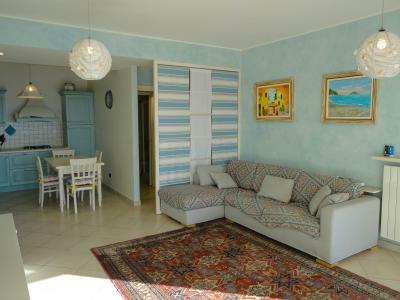 A private garage and a cellar are also included. 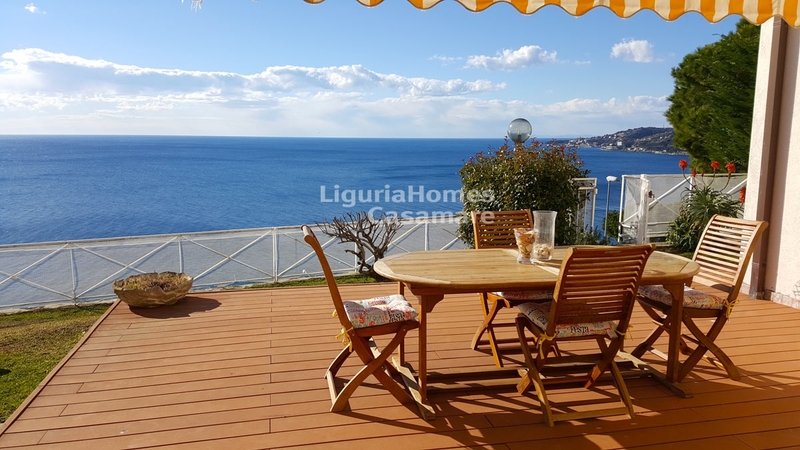 Thanks to its position, this luxury property for Sale in Ospedaletti, benefits of privacy and quietness, enjoying the sun light from early morning until sunset.